A few years ago, I wrote a short article on some good sources of Sri Ramana Maharshi’s teachings. A number of other scholars/practitioners, including David Godman and Michael James have done admirable work of researching and identifying authentic sources of Bhagavan Ramana’s words. This is important for obvious reasons. 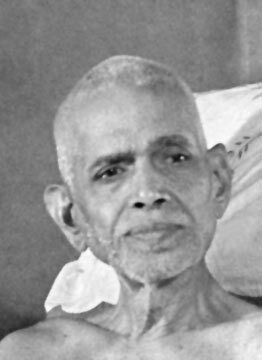 We see too many misquotes of Sri Ramana’s teachings by people who are not intimate with Bhagavan’s teachings and whose main interest seems to be in finding nice sounding feel-good quotes. Having said that the need to identify authentic sources of Sri Ramana’s teaching is important, it still needs to be acknowledged that the teachings transmitted via language, no matter how authentic and genuine a source is, have built-in limitations. That is why Bhagavan often stated that the highest teaching is always given in silence. Sri Ramana used to say that once the basic teaching/method of self-inquiry is grasped, the books are of little use to the aspirant. It is the practical application of the teaching that matters. He stated this again and again in a variety of ways and in many different contexts in order to emphasize the point. Despite the volumes written on Sri Ramana’s teachings, the teachings are easy to understand for a sincere person who makes the effort. The reason for that is that we are already the Self. Bhagavan is simply reminding us by speaking directly to our essence. Whatever the limitation of the language and the source, these words are full of the force of grace. It is up to us to be open to this power of grace. Hence we have the ability to “Hear” Bhagavan Ramana, no matter what the source. It does not matter if we do not “Hear” him perfectly at first. It is the practice that purifies the mind and makes it subtle. It is then the teaching/grace works spontaneously and guides the mind to enter the Heart and understand the true nature of silence. Sri Ramana never approved of devotees getting entangled with intellectual debates and losing their focus from the main purpose of life. Self Recognition. The wise say that the Tao that can be talked about is not The True Tao. Still, Sages such as Ramana Maharshi manage to indicate the existence of the underlying Reality with words and without words. 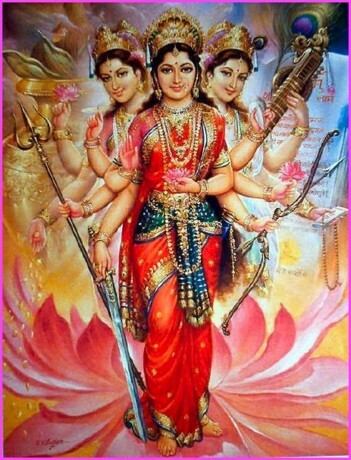 Self-Realized sages point to the Truth easily and spontaneously. Knowledge of Reality is not just their first-hand knowledge but their very Being. Sri Ramana, through his silence, words, and actions, was always pointing at the highest reality, the Heart of existence, the Self. Even in minor things like giving instructions on cooking and eating food, cutting wood, or other matters, Bhagavan was doing that. Sages like that are more than just Satsang givers, good public speakers, and charismatic orators. I am often reminded of the words of Sri Ramana who used to say that the Supreme Reality, whatever it is, must Always be Real. It cannot be more real sometime in the future than it already is right now. Therefore, the central truth to be grasped by a devotee of Bhagavan Ramana is that whatever is real, permanent, eternal, must be Here and Now also. In this very moment, it must be so! If the Self is not Here and Now and is to be gained at some future time, then it must be subject to loss also. What can be gained can also be lost! Therefore the sages declare that That which is Real, Absolute, Eternal cannot be gained. It is because you are already That! What You already Are cannot be attained because it is your very nature, very being. What undermines the acceptance of our Own Natural State? What is your deepest knowing here and now? People are surprised when they hear this. How can we practice the highest state from the beginning? But this is exactly what Sri Ramana meant. Practice being absolutely natural from the very start! Recognition of our nature as pure awareness is the goal. Awareness scanning Awareness, Awareness being Aware of Awareness is the method. Awareness abiding in Itself is the essence of the nondual realization. Sri Ramana is clear on that point. However, Sri Ramana gave the essential teachings in a variety of ways in his own words to suit the devotees. Sri Ramana’s words and sentiments that poured forth are imbued with a certain energy if one is in tune with the Sage of Arunachala. Note the term, “Forced upon you, in spite of yourself.” It totally bypasses any loyalty to a particular approach or method. Ramana’s own realization, you may recall, was “forced” upon him. The Divine does not ask our permission before the Self-revelation. It is the sincerity of aspirant’s effort which calls forth Grace that leads to Realization. Ramana knew this intimately as only a Self-Realized Sage can know. A variety of works by Sri Ramana, the ancient stories he used from scriptures, or recorded conversations or recollection of devotees may be (and are) useful. What I sense in some Ramana devotees is a certain rigidity and adherence to a sanitized structure of Sri Ramana’s teaching. It is only the play of the mind which in its narrowness assumes that it knows the Truth. In fact, Truth is what swallows up the mind! Even a great teaching repeated often without sensitivity to others and without in-depth understanding that comes from being the Heart, becomes ineffective. Sri Ramana used to say that the highest teaching he gave us was in Silence. How one comes to this Silence and Recognizes It as one’s own essence as Awareness, as Sat-Chit-Ananda, is unique to all. Did Sri Muruganar not write in one of his poems that……..the path a sage takes to Self-Realization is like that of a bird that flies in the sky. It leaves no trace. 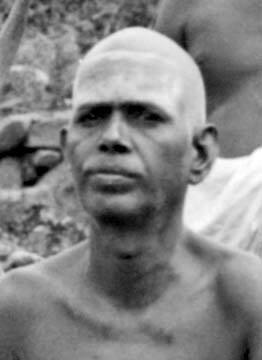 Around the age of 31, Swami Lakshman Joo, the great yogi mystic philosopher, and exponent on Kashmiri Shaivism went to Tiruvannamalai to meet Bhagavan Ramana and spent a few weeks there. Speaking about his experiences with Sri Ramana, he later said, “I felt those golden days were indeed divine”. He is shown below in one of the pictures that were taken when he was there. 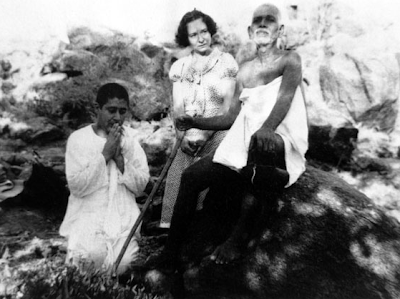 The greatest yogis of the day and Shankracharyas came and visited Bhagavan Ramana and saw an ordinary frail man, who had nothing, sitting there on the rocks. Although Bhagavan did not try to impress anyone, the highest adepts instantly saw that they were in the presence of the Eternal Presence ItSelf. We are elated and happy when things go our way. We are sad and depressed when reality unfolds differently than our expectations. How pitiful is our lot my friends, thrown about here and there with the changing winds! Every day, the world, as perceived via the mind invites us to ride the roller coaster of emotions fueled by fear, anxiety, anger, and hatred. A Sage centered in the Heart of Love is always indifferent to such an invitation. Whether one is rich or poor, famous or unknown, bright or dull, wise or foolish, religious or an atheist, each experiences pleasures and pains, joys and sorrows, tears and laughter, victories and defeats in their life. Thus, as if compelled, the sages start to reflect on the nature of their existence and the mind. The quest to know the nature of existence starts us on the journey to our own Heart, which is indeed the Universal Heart. Sages respect all spiritual paths, modes of prayer, contemplation, and meditation. Walking from any direction towards the Heart, ultimately leads to the Realization that All is One. One Love. One Heart. Whoever you worship, and by whatever name you call the Divine Spirit, Her sweet light falls equally on everyone and is in everyone. That One Light is in you as well. It appears hidden behind the mind and personality, that you take to be your identity. But in truth, You, yourself are that One Light. Understanding and intimately knowing our original and true identity as the light of consciousness is known as Self-Realization.